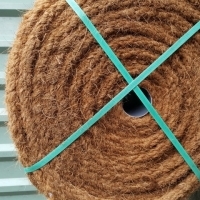 Browse other-coir-products suppliers by country and region. 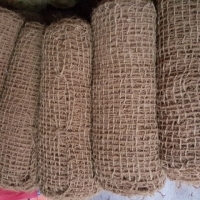 Cocopeat Block Size : 30 x 30 x 15 cm ( or - 2 cm) Weight : 5kg Moisture : 10-15% Maximum Compression Ratio : Over 75 Liters / Block Fiber length: Less than 2cm Packaging: Palletized, stretch, wrapped and strapped. Short on time? 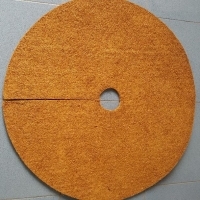 Let other-coir-products sellers contact you. Good day to you, My pleasure to introduce, Anny Danh, Sales Executive from Viet D.E.L.T.A Industrial Company which is one of the leading companies specialized in exporting agricultural products of Vietnam. Wood Shaving is a effectively burning material. It is not only used for industries, but also for agriculture. 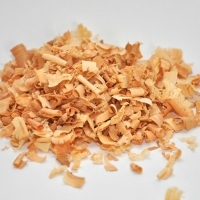 Wood Shaving can be uses for animal bedding. Specially, we supply high quality Wood Shaving used for pet. Our products are harvested and carefully selected from Viet Nam to ensure the high quality, stable large quantity at the competitive price. Hope you spend your little time on better understanding in our Wood Shavings. 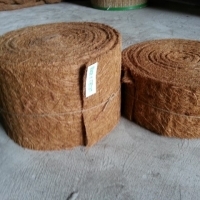 Coir sheet or Coir tape (HS code: 57022000) Size: 10cm (Width) x 10,000cm (Length) x 2.5mm (Thickness) Note: a)	the width may range as 10cm, 15cm and 20cm. b)	the thickness is 2-3 mm (average is 2.5mm). 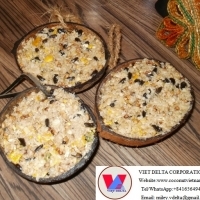 Origin: Vietnam It is from 100% natural coconut fiber and bio-degradable. Structure: the fibers are scattered into a thin blanket, then sprayed by latex emulsion to make it entwined. After naturally drying, the blanket is processed by the heat press. 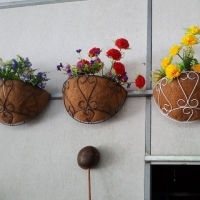 Application: a) to make other coir products like flower pots and b) to wrap around the tree to protect the tree against the low temperature in the winter weather. Minimum Order Size : 1x20ft cont. Packaging details: 4,512 m2 per 1x20ft container. It is 376 cartons, each carton contains 12 m2. 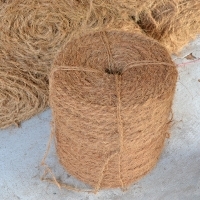 The coconut fiber net as geotextile. This is used to control both of the soil erosion and the landsliding. Size: 2m x 20m. Rope diameter: 2.5 - 3mm. Square dimension: 3cm x 4.5cm. Number of the square in the width: 70 (for 2m). Number of the square in the length: 24 every meter. 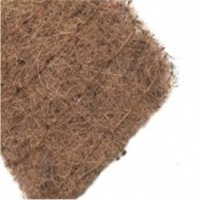 Coir sheet or Coir felt (HS code: 57022000) Unit price: depending on the dimension Width x Length x Thickness. Note: a)	the size of Width and Length may range: 50cm x 50cm; 148cm x 203cm, 163cm x 203cm, 160cm x 200cm, 180cm x 200cm b)	the standard thickness is 0.8cm - 1cm - 1.4cm. 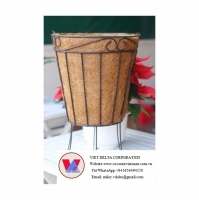 Origin: Vietnam It is from 100% natural coconut fiber and bio-degradable. Structure: the fibers are weaved in layers then under the hot pressing into the sheets. When pressing the adhesive of latex is used. 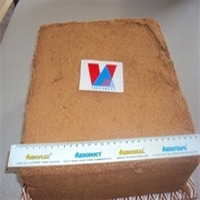 Application: Coir sheet or coir felt is a great material of buffer. It may be good for making cushion, bed mattress, etc. In the winter season, the felt may be used to cover the tree to protect it against the low temperature. Hydro Seeding Mulch is granule plant fiber mulch and is 100% natural, eco friendly and biodegradable. Holds soil in place more effectively than paper mulch and wood mulch. When mixed with seed and fertilizer, it forms a homogeneous slurry that ensures evenly distributed strand of grass. Comes in granule form and is easier and saves transportation. 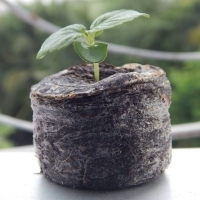 These sterile mulch holds ten times moisture of its weight and the seed survival rate is highest. 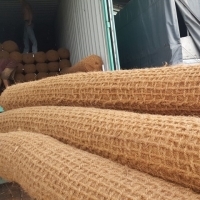 We produce and export Non Toxic Biodegradable Natural Plant Fiber product , from renewable source (Coir) which is free from clay, chemical, fragrance, dust as Bedding for all kinds of Animals, Poultry and Pets. It is safe, soft, pleasant, long lasting, fully compostable and controls odor.